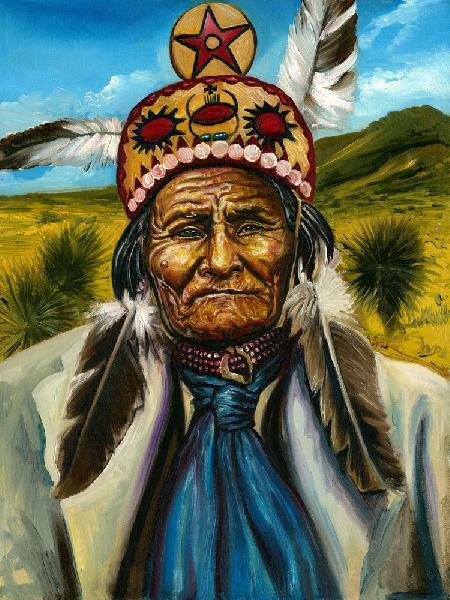 Geronimo was a war-leader of the Chircahua Apache people. He fought the U.S. Government and surrendered for the final time in 1886. He and the entire Native American tribe were held prisoners of war for many years. In this image is was located at Fort Sill Oklahoma and wears his medicine hat which was symbolic as his role as a medicine-man - one who had spiritual powers.